A Friends of the Glynn Vivian and Dylan Thomas Centre Joint Lecture, on the publication of R. S. Thomas’ poetry, Too Brave to Dream took place at the Dylan Thomas Centre, Swansea, on 6 November 2016. Despite being fully decked-out in knitwear, I was still shivering as I hurried towards the beige brick building, not even stopping to read the brightly coloured signage that lined my path. I arrived in time to have a quick look around Love the Words, a permanent Dylan Thomas exhibition which opened on Dylan’s 100th birthday, 27 October 2014. Now armed with knowledge that the young Thomas used to ‘grab for oranges without asking’, a crucial piece of information which would change my view of his work forever, I made my way upstairs to the lecture theatre. The lecture was preceded by a short introduction to the lecturer, Professor M. Wynn Thomas. Many of the staff at the Dylan Thomas Centre had been taught by him at university or supervised by him during their PhD. They apparently ‘couldn’t get enough of Wynn’s teaching’, even attending lectures they weren’t enrolled upon just to listen to him speak. The praise seemed to cause Wynn great embarrassment as I could see him drop his head into his hands from where I sat. After he had claimed the podium from his reverent alumni, the reason for his embarrassment was explained. It was immediately evident why students would be so eager to attend his lectures. It is obvious when someone has a passion for their subject, and from the outset his enthusiasm was captivating. Having personally been responsible for whatever literary remains were left after R. S. Thomas’ passing, and having previously written on the relationship between paintings and poetry, Wynn is definitely an authority. The poems being discussed were found by Wynn himself, interleaved in a black and white volume of paintings. He decided not to publish them at the time of their discovery, immediately after Thomas’ death, as he thought there might be a danger of ‘flooding the market’. The lecture explored the boundaries between painting and poetry. Wynn described a particularly tortured and problematic boundary between these worlds of creativity, frequently using the word ‘perverse’ to describe Thomas’ own interpretations of art forms. There was also much discussion regarding Thomas’ relationship with his first wife, Mildred Eldridge. Wynn believes their married life paralleled the relationship between poetry and painting, as those were their respective careers. The vicarages they occupied were divided into his space and her space, each section containing the elements necessary for the pursuit of their art. Thomas never fully recognised her talents, and, in Wynn’s opinion, probably held a deep jealousy towards her, as at the time of their marriage, she was already a rising star, while Thomas was still a ‘wannabe’. Within his poem ‘Reservoirs’, he famously dismissed his wife’s favourite medium in favour of poetry. Once the lecture had come to an end, I was left with a considerable amount to think. Not only in regards to R. S. Thomas’ relationship with both art and poetry, but also about the ways in which perceptions of the creative arts differ, and the effect one’s character can have upon these perceptions. 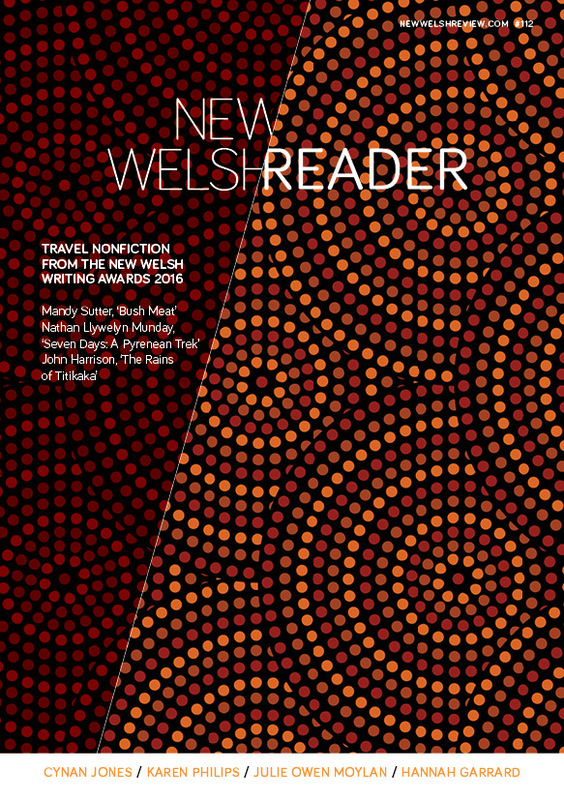 Hayley Dolby is a Cardiff-based blogger undertaking an internship with New Welsh Review.